Social Media this week has been ablaze with nonsense and stupidity, specifically from The Guardian’s Owen Jones and the leader of the Labour Party, Jeremy Corbyn. The former is wholly incompetent at arguing his position whereas the latter is steadfast in his position of support socialism … at all costs (he still has not yet acknowledged our petition calling for him to apologise to the Venezuelan people for backing the Maduro regime). Both provide us with comedy and further proof the socialist Left haven’t a clue when it comes to adequately discussing the failings of Venezuelan socialism. 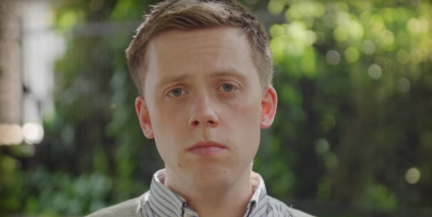 Late last week, Guardianista Owen Jones was interviewed on Sky News with Kate Andrews from the Institute of Economic Affairs and predictably, Owen Jones pulled out his impression of being an ideological doormat. Ranging from repeating party mantras to outright ignoring and dodging questions, Owen showed us exactly what not to do in an interview. The Socialist dream, which he ardently defends, was sold on the idea that everyone could enjoy financial wealth, there was enough to go around and, because we could all learn to share, we could all develop and blossom. History has overwhelmingly proven to us this does not happen under socialist regimes so, modern day socialists tend not to attempt to argue this point. This memo has failed to reach the desk of Owen Jones as, during the interview he stated socialist governments in Uruguay, Bolivia & Ecuador are “having huge economic growth … have done over the last few years, they haven’t collapsed … have massively reduced poverty in their own countries”. This may sound appealing except for the fact that it fails even the most modest of fact-checking. In all three countries he mentions, their GDP has either fallen or not grown. The economy in Venezuela is far worse, so much so that the bolívar is now worth less than a WOW token. A WOW token is the currency used in the massive multiplayer online role playing game, World of Warcraft. The currency is generated by being looted from an infinitely spawning amount of foes, found in crates, etc. That’s right, a currency infinitely generated by millions of players in an online video game is worth more than the bolívar. When the argument based on reason failed, the supporters of socialism had to change tactic. They jumped ship from reason over to emotion and started to argue socialism is fairness. It brings about equality, it supports those who do not have what they should. It’s about the little guy. It’s a radical appeal to emotion but, in this rare instance, it was not deployed in the usual manner. Instead of using emotional appeals to argue the end point that socialism is about fairness (which would have been interview suicide, as they were discussing poverty in Venezuela), Owen moved the goal posts to attack the weapons deal we have with Saudi Arabia regime. This move, in a state of war, more commonly manifests as waving the white flag. When rightly called out for it, Owen retorts with “no, no, no but, this is the point: why is there no national outrage in the press about our government being responsible for a humanitarian crisis?” That is not an argument. His special pleading and weak attempt to hurl a tu quoque at Kate betrays the fragility in his position. This wholly irrelevant talking point has been repeated ad nauseam all over Twitter, almost as if the weapons deal with Saudi Arabia justifies Maduro’s thugs executing people in the streets. 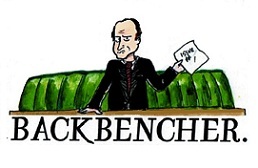 #Newsnight WTF? You bang on about Corby and Venezuela, yet say nothing about the sick arms deals between the Tories and Saudi Arabia? The failings on these two fronts, emotion and logic, is why Owen played such infantile word games and responded like a scolded child. Reeking of Nietzschean ressentiment, Owen has to resort to manipulating language and dialogue in order to stay afloat. His inability to defend his position is why he was trying to be clever with words.